Whoever says that the age of the boomtown is dead hasn’t paid enough attention to Phoenix. The capital city of Arizona, Phoenix has grown explosively for the last 40 years, today tipping the scales as the sixth-largest city in the United States at almost 1.5 million people. Originally settled both by Native Americans and early European settlers as a rare confluence of arable earth and available water for irrigation in the sun-parched Southwest, Phoenix today is fueled by manufacturing, financial services, construction and a strong presence from defense contractors and government suppliers. Although Phoenix - and Arizona as a whole - were hit hard by the recession, in the last year or so they’ve come roaring back with a vengeance. Among the global companies with headquarters or major operations in Phoenix are American Express, Best Western, Honeywell, US Airways (now part of American Airlines) and Intel. If you’re looking for a sunny place to enjoy your vacation, Phoenix should be near the top of your list. Not only does the city have a wide array of historic, cultural and entertainment sites fit to provide hours of fun for an entire family, but from its strategic location in south central Arizona, it serves as a great starting point for visits to the Valley of the Sun and other popular state attractions. Be warned: Phoenix is located squarely in the middle of the Sonoran Desert and has the climate to prove it. Bring sunscreen and stay hydrated, especially during the summer and the middle of the day. If Phoenix sounds like somewhere you want to be, Transfercar get you there from almost any major U.S. city with their free R.V. and car rentals. The downtown district of Phoenix has relatively few shops, nightclubs and other attractions, at least when compared to the downtown areas of cities like New York. There’s a lot more there than was the case even a few years ago, though, and the upsides to this modernized commercial district include cleanliness, uncrowded traffic and efficient mass-transit. Downtown and the adjacent Midtown neighborhood also have several top-tier museums, galleries and theaters, making it the center of high culture in the Phoenix area as well. If you’re looking for the ritzy end of Phoenix activites, Camelback East also known as East Side and Camelback East Village is where you’ll find them. With world-class hotels and resorts, high-end stores and expensive office space, here’s where you’ll find some of the most famous Phoenix attractions, plus many fascinating additions you’ve never heard of in your life. 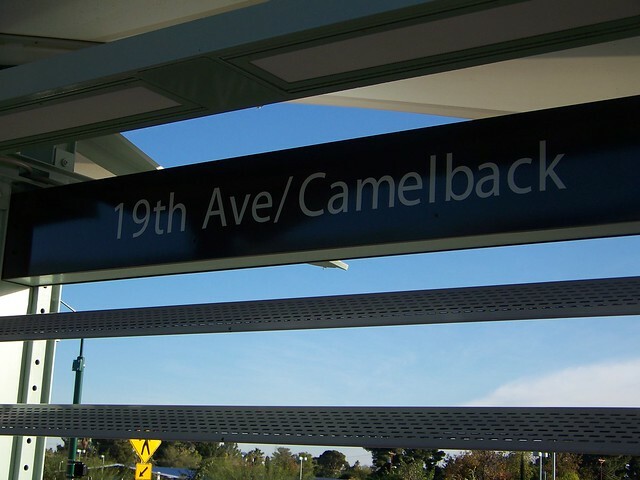 Just north of Camelback East, one enters the largely residential neighborhoods collectively known as North Phoenix, and while it can’t compete with downtown or Camelback for the number of attractions, there are still a few sites that would be worth taking a closer look for any tourist. Phoenix is unusual among American cities in how dramatically and quickly it has grown, meaning that many of the surrounding suburbs maintain much more of an individual flavor than might be the case in older, more established cities, and many of the top things to do in Phoenix are not actually in Phoenix itself. Of particular note to a traveler should be Scottsdale and Tempe, both located just east of Phoenix proper. Tempe, the southernmost of the two, is the home of Arizona State University and many biotech, renewable energy and other research-oriented companies. The large population of students and young, affluent tech workers makes this a hot spot for nightlife, as well. Scottsdale, just to the north, is one of the richest parts of the metro area and features high-end shopping, resorts, galleries, golf courses and more. It has been compared to the famously affluent Beverly Hills suburb of L.A. and offers numerous opportunities for high-quality and high-price entertainment. Both of these suburbs and others are easily reachable from the central city for day trips or have lodging aplenty of their own. Whether you’re hopping all over the greater metro area or sticking close to your downtown haunts, you’ll not be disappointed by Phoenix sightseeing. Projected to become the 4th-largest city in the country by 2020, this city is continually evolving, growing and reinventing itself, creating all manner of fascinating sights, sounds and locations. In combining the cutting edge of modern industry with the primal beauty of the American southwest, Phoenix attractions are truly a city unlike any other. Visit Transfercar to learn more about free R.V. and car rental service and to start planning your Phoenix vacation.